The fourth season of Falling Skies premiered last night. In case you haven’t seen it, Falling Skies is about group of people who have survived a massive alien invasion and their battle to take earth back. It stars Noah Wyle and Maxim Knight. 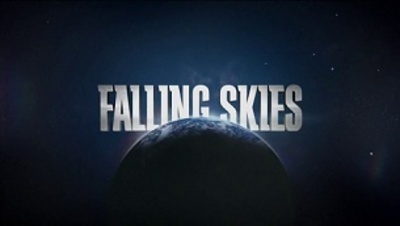 Have you been following Falling Skies? I haven't been following it, but it sounds almost like the after events of War of the Worlds. What are the aliens like? I actually haven't seen it yet, even though a lot of people who dig the same shows I do have raved about it. No, but it is on my list of shows to watch! It's also on my list of things to watch as well. So many people I know have recommended it, I don't know why I haven't taken the time yet.